GFellow Freemasons who the Brethren of Octagon Masonic Lodge No. 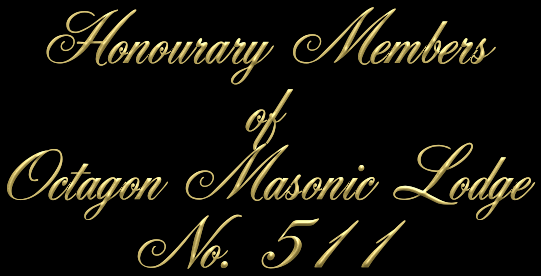 511 believe deserve special recognition for their individual efforts to further the principles of Freemasonry that we hold so dear. And for Brothers who go the extra mile on the path less traveled. Brethren...... our thanks and appreciaton.